Morning Breath is ’bout to knock you out with some effortless design. I’ve been checking out Morning Breath’s goods purely for their quirky typographic compositions, but I have to say, their illustration mixes are a sight for sore eyes too. The show should be off the hook, especially since they’re doing it with veteran bomber and graphic artist, Cycle. Best go and checkitout, checkitout. 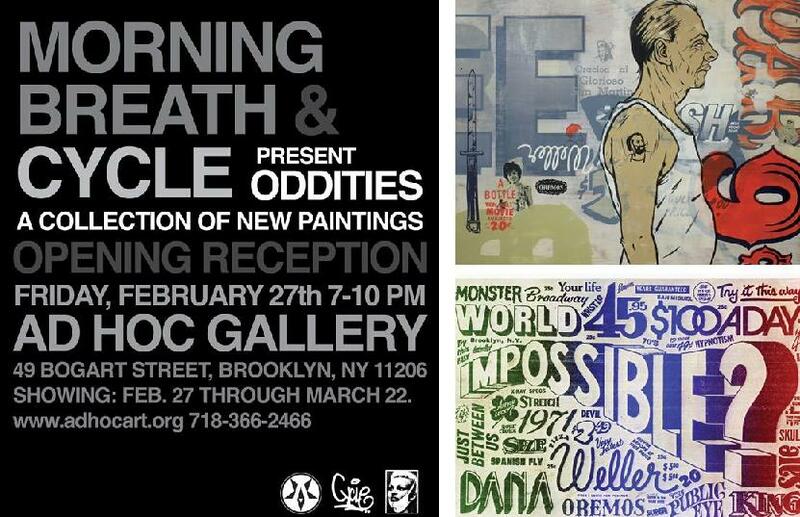 Opening Reception ends in a few hours, so all you Brooklyn folks reading this blog right now should run out and catch the party before it’s too late.